Whether snipping paper, tying bows, dipping paint brushes, or coloring with crayons and markers, arts and crafts are a classic pastime that every child adores. The true beauty of the activity is that there’s almost no limit to what can be made – including gifts! The next time you’re looking to break out your arts and crafts supplies, here are just some of the gifts your kids can make. From learning good manners by making a thank you card or making a festive holiday-themed card, cards are an arts and crafts project that can be made all year long. When the theme is established, a child’s creativity can run wild. Supplying the little creators with tons of fun materials such as colorful paper, beads, ribbon, and other bobbles is an excellent way to let the children express themselves within the boundaries of the project. Arts and crafts go far beyond the realm of paper and scissors. Making custom bracelets is a fun project that kids can be proud of by seeing their creations worn afterward. Whether you’re making simple braided yarn items or going a step beyond and threading tons of fun beads and charms, every child can make something the recipient will be excited to wear around their wrist. 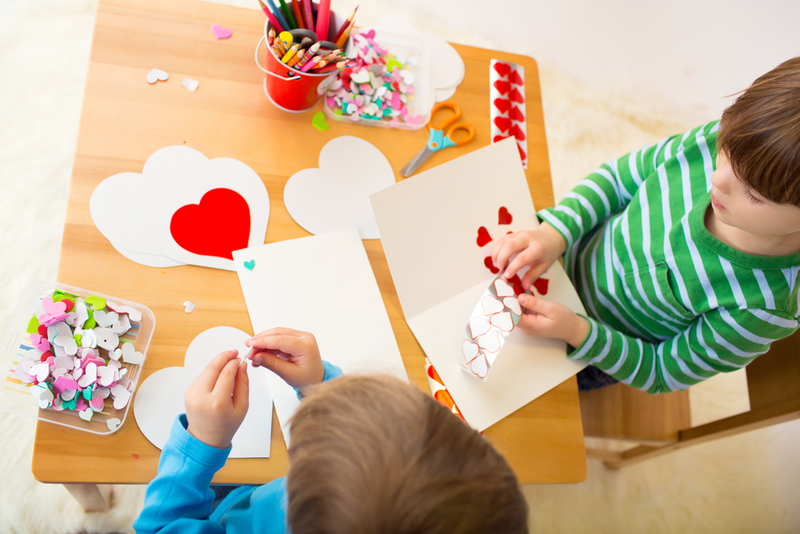 By dedicating a bit of craft time every now and then, you and your child can make something that will be truly special to look back on in the future. After buying a scrapbook, provide your child with the arts and crafts materials — such as paper, beads, glitter, and other fun items — and a picture of a special memory that they and the recipient are involved in. They can decorate the page in any way, and the picture will mark the time it was made, making for a heartwarming gift. If you’re looking for high-quality arts and crafts supplies in the Mamaroneck, NY, area, look no further than Toy Box. With a huge selection of materials, you can find exactly what you need for your latest project. And, don’t be surprised if your little one is enamored with the action figures, puzzles, books, and plush toys. Visit the website to see the inventory, call (914) 698-7110 to speak with a friendly representative, or stop in today and let an employee help you find what you’re searching for!